HappyFox Categories are mailboxes that allow different departments or groups to handle relevant tickets using one HappyFox Help Desk instance. Each category can be assigned an email ID to which your contacts would directly send their email requests. The incoming emails get converted into tickets automatically and place themselves into appropriate category. 3. If you are creating a new category, provide a category name, Visibility of the Category, a brief description and a signature that’ll get appended to all outgoing mails. 4. As you can see from the image shown below, each HappyFox account is assigned a unique email id, and to convert/redirect all your department emails into a HappyFox category, a two-way mapping between your company's "email ID" and your HappyFox "email ID" (Forwarding address) is required. Select “Email Forwarding” mailbox type in the incoming mail option settings and enter your company’s email address. 5. To enable two-way mapping, configure a forwarding rule in your organization mailbox settings. Go to the Settings panel of your email account and create a rule that forwards all incoming email to the HappyFox account. If you are using Gmail services refer to this article to understand how to setup forwarding rule in Gmail. 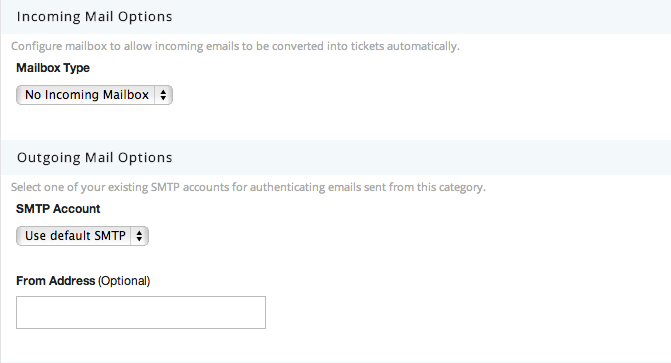 Once this is done all your mails will automatically be converted to tickets. 6. 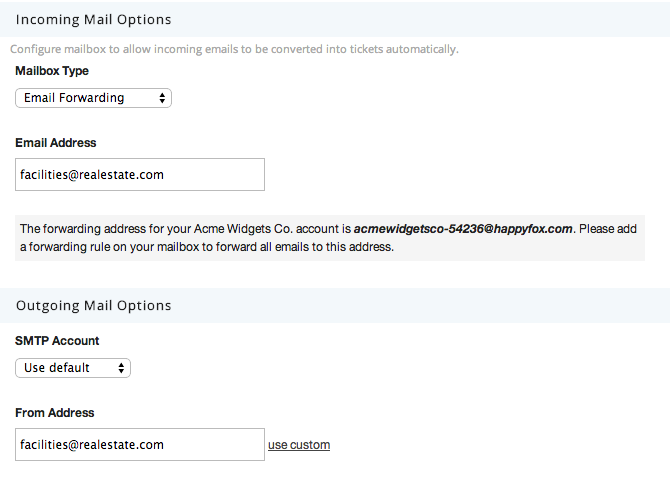 You can alternately choose not to configure forwarding address and maintain the mailbox type as No Incoming Mailbox. 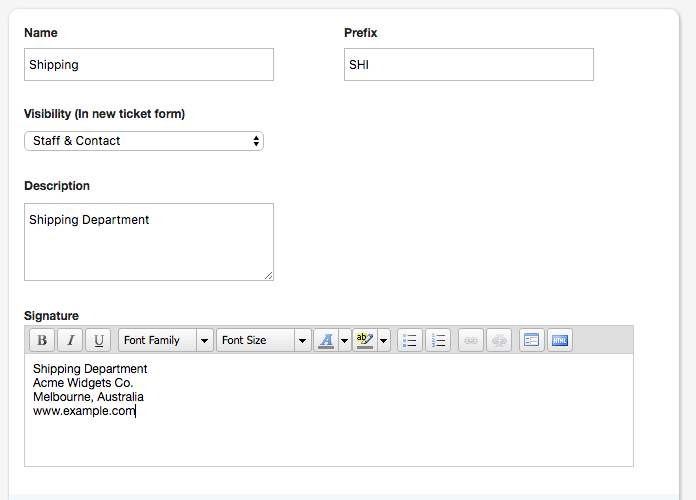 In this case you will have an option to add a different From Address for all your outgoing ticket replies. Video Tutorial: You may also use the link provided below, to view a video tutorial on how to set up a forwarding address, with your gmail account.